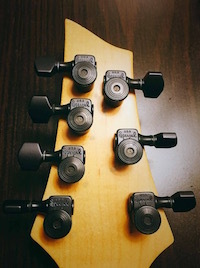 We are pleased to offer you tuners with the configuration you need for your guitar. You get the same outstanding quality and reliable tuning you expect from Sperzel, but in 7 and 8 string sets. 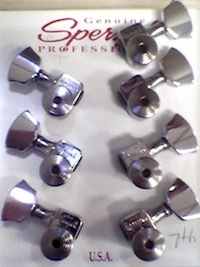 In order to mount Sperzel Tuning Keys on your guitar you will need hole sizes of 10mm or 25/64"
With Sperzel you are not stuck with the traditional 6 string, or even the 7 or 8 string sets. We make ANY number combo you need for any string instrument. 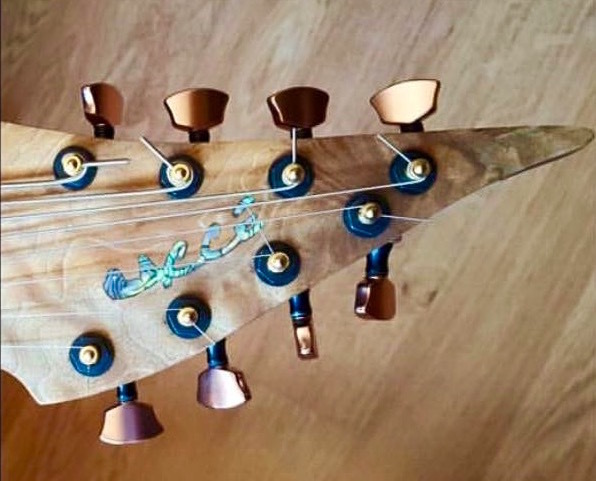 Whether you need 2 or 18 tuners, we customize to your building needs so you can always sound your best!